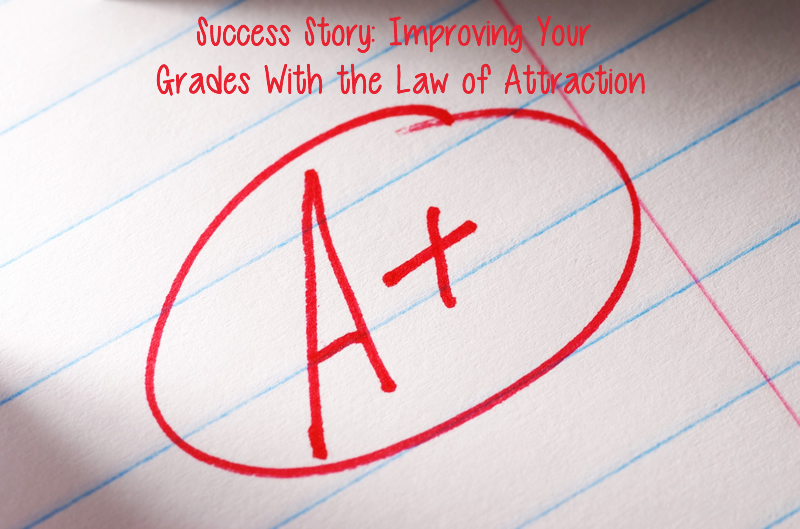 In today’s story the author shares how he got straight A’s as grades by following the law of attraction. In the past semester I made up my mind that I wanted to get A’s in all my subjects. With that said I had quite a lot of difficulty keeping up with all my studies because the work load at my university was so much and very demanding. In spite of my difficulties I managed to maintain an A grade point average. We had so much to submit in terms of assignments and then I hit a snag with one of my projects. No matter how much I tried to fix the project, somehow I could not seem to finish it properly. The instructor told me all the things that were wrong with my project and I remember one night crying with frustration because I was running out of time to study for my exams. Eventually I managed to submit my project but I only had one day to study for my first exam and two days for my second and third exam. I studied and did the best I could but my two exams did not go well. I could not finish them both. I decided to apply The Secret to my results. I kept repeating to myself over and over again that “I don’t know how but I am going to get an A average for all my exams. I don’t know how but I am going to get an A average for all my exams.”. On and on I went. I had nothing to base my beliefs on except pure faith, but I just believed. I took care over that weekend to only speak positive things to myself and kept on repeating the above phrase. Sometimes I had doubts and tried to convince myself that even if I did not get A’s I would just pass but something inside my heart would not let me. So I kept on repeating it. I said it out loud over and over again. Monday came for results day and I was too afraid to look at my results. I mustered the courage to open my results on Tuesday evening and I could not believe my eyes when I saw all A’s in my results! I was so overjoyed. I do not know how I did it but I got all A’s!!! So keep on believing even when it seems impossible and all the odds are against you, just keep on believing! About the Author: Believer in the impossible, believer in unshakeable faith.